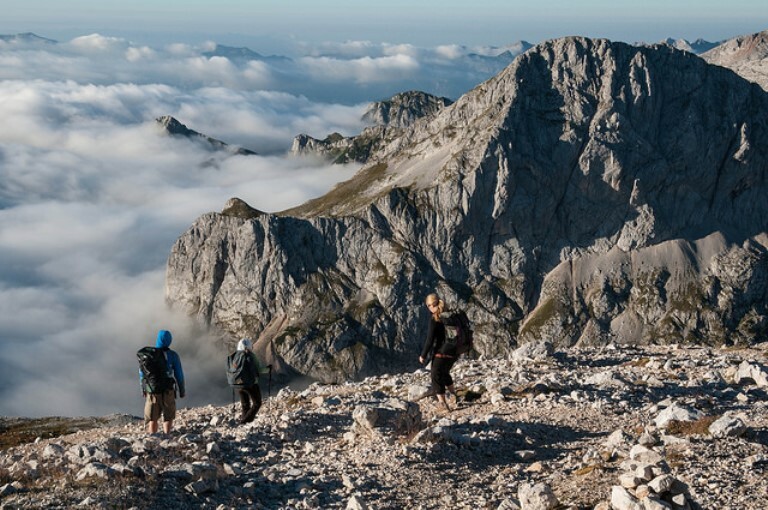 The name Grand Bohinj Horseshoe is our own invention and offers a splendid 5 day trail over high country, giving beautiful and varied scenery and views while walking from refuge to refuge before tackling Mount Triglav, at 2,864m the highest in Slovenia. The Triglav National Park both protects alpine wildlife and contains perfect mountain villages and remote farmsteads, offering an insight into traditional ways of life. This can be tough walking in high, remote mountains with unpredictable weather. 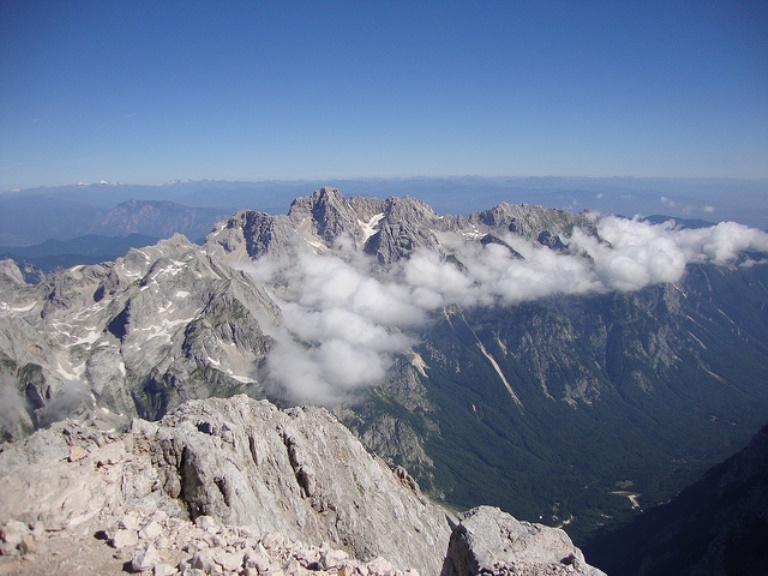 The relatively undiscovered Julian Alps (think Dolomites without the crowds) fills north-west Solvenia offering superb Alpine walking, with outstanding natural beauty and spectacular views. The area's favourable climate and plentiful rainfall support a wide variety of flora and fauna. 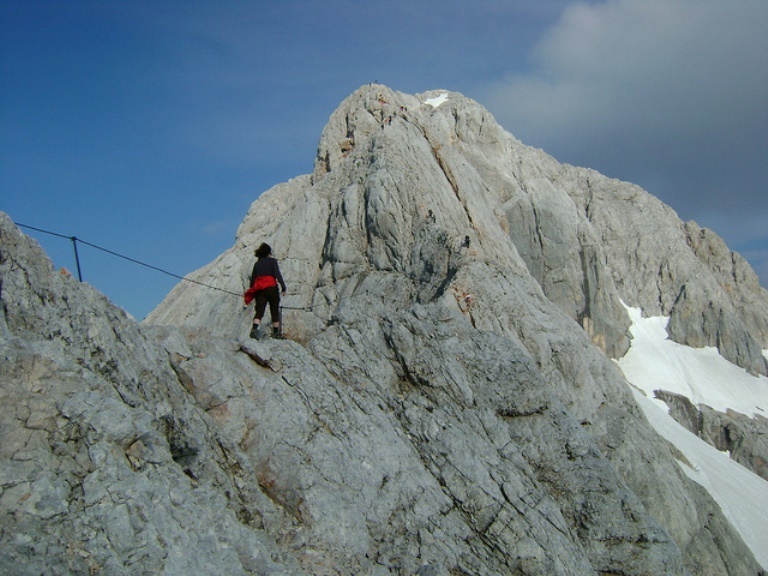 The name Grand Bohinj Horseshoe is our invention. We designed what seemed to be the best possible 5 day walk (all the time we had), giving beautiful and varied scenery and views, walking from refuge to refuge on the high ground before tackling Triglav. PLEASE help us BY RECOMMENDING YOUR BEST WALKS giving us your comments AND SENDING PHOTOS! Thank you! We’re off from our hotel near the base of the Bohinj lake at 8:40am – only 10 minutes late. It is a crystalline early autumn day, but for a layer of fog over the lake which is vanishing around the edges as we watch. Our destination, the mountains at the end of the lake, soar temptingly far above the cloud. We walk through the woods on the north bank, the sun slanting through the beech woods, gaining regular glimpses across the still lake. Trout lie lazily in the clear shallows. A charming, 5km leg–loosener.